The Niraamaya Spa at Kovalam is spread over 6,700 sq ft and is one of the famous spas across India, known for its serene architecture and picturesque location. The term Niraamaya means 'a sense of well-being' in Sanskrit. All the Niraamaya properties are located in scenic locations and imbibe the philosophy of wellness. The retreats offer a unique convergence of hospitality and wellness delivering bespoke experiences for their guests. One of the philosophies of Niraamaya Retreats is to develop and nurture properties that provide a sense of space and well-being. The Niraamaya Retreats are located in two places; The Cardamom Club in Thekkady and Surya Samudra in Kovalam. Niraamaya Retreats Cardamom Club set amidst acres of cardamom plantations and a gateway to the exotic wildlife ofThekkady. While, the Niraamaya Retreats Surya Samudra, a member of Relais & Châteaux is surrounded with lush green palm trees on one side and the Arabian Sea on the other. Niraamaya Spas have globally acclaimed treatments infused with timeless therapeutic traditions from across the globe, centered on Ayurveda. Karl Damshen, an architect from Switzerland had designed the spa exterior, while the interiors were designed by Gayathri and Namith, Architect Duo from Bangaluru. The Niraamaya Spa was designed in a bid to showcase traditional architecture of Kerala and bringing together the elements which are extinct in contemporary constructions. Wooden carved doors and other ornamental carvings were sourced from parts of Kerala and were carefully resurrected atthe spa here. The wooden furniture and rustic flooring hasadded the pinch of charm to the ethnic Kerala style of living. The building was constructed with least amount of excavation of soil and is structured as per the topography of the land. The whole logic of this design is to bring justice to an architecture which is fast becoming extinct in the modern space of living,” said Dr Arun Aravind, Spa Head, Niraamaya-Retreats. The structure is spread over two levels; one of the levels features the reception lounge, 4 Ayurveda therapy rooms anda Balinese 'bale' pavilion with a thatched roof and soft fabric curtains has been installed in the middle of a water body that caps the massage rooms underneath. A stairway leads to the massage rooms right below the water. This level comprises of one Ayurveda therapy room, a couples spa suite, an International spa therapy room and a Hydrotherapy room. All the therapy rooms in the lower level have a private courtyard and garden attached to it. Also, all the 8 treatment rooms are equipped with shower and steam facility. For Ayurveda treatment, traditional wooden massage tables carved out of medicinal wood like country venga, neem etc., are used. For spa therapy rooms, state-of-the-art maneuverable King Square massage beds from NILO, Italy are used. The spa has 8 therapy rooms that include 5 Ayurveda rooms, a couple suite, a spa therapy room with Vichy shower attached and a Hydrotherapy room. They say ‘natural’ lighting is the best for healing. However, there should be provision for blinds to allow privacy and to create a relaxing atmosphere. At all our retreats lighting is primarily from day light; LED light fixtures with dimmers are used in all therapy rooms for additional lighting requirements. Spa flooring is constructed using traditional terracotta tiles, flamed granites and teak wood. We are currently using premium waffle kimono bathrobes in off-white colour. Niraamaya Retreats is coming up with their new property inthe picturesque backwaters of Kumarakom; the construction is underway and is expected to be finished by December 2015. 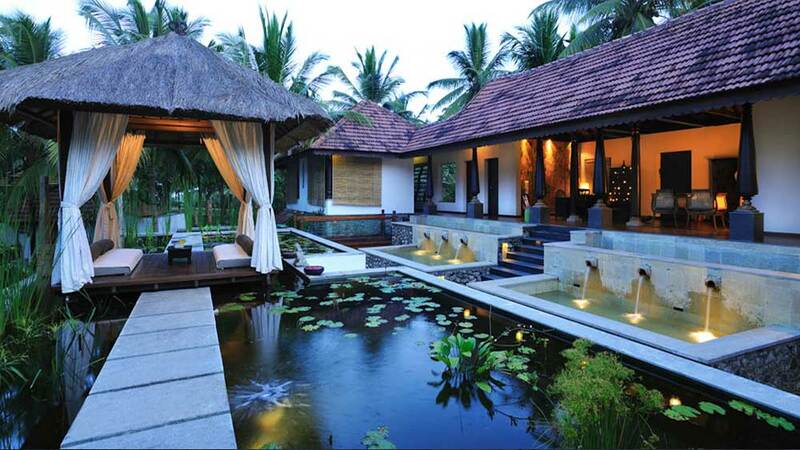 The other new luxury boutique properties at Chikmagalur and Goa will soon to follow. About Us: Founded in 2017,”Yummerica Fries” brand is present in 10+.. Mobile marketplace Vyomo finds new investor in Tax..